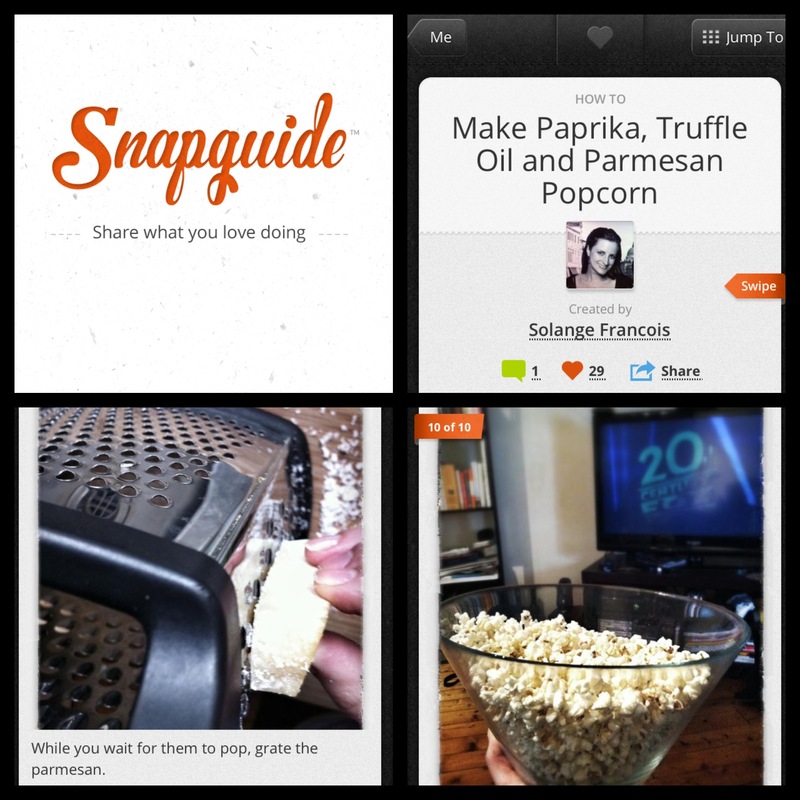 Have you heard of Snapguide? It’s a very cool site and app that allows users to create guides about anything they love. Topics include Arts & Crafts, Automotive, Beauty, Food, Music, Photography and Technology. I made my first guide over the weekend: How to Make Paprika, Truffle Oil and Parmesan Popcorn. The app is free and allows you to upload photos and/or videos as your instructions. Check it out, there are some great guides on there from people all over the world, and if you are looking for a particular guide, the search functionality is very good.